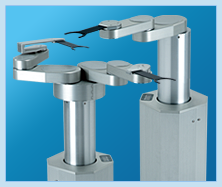 JEL is known as the "Leading Manufacturer of Clean Robot". Since the foundation in 1993, JEL has grown as a leading manufacturer of clean robot for semiconductors and FPD glass substrates. JEL robots have been used by more than 2,500 customers worldwide, which has earned us a reputation for high quality products and stable supply system. Aiming at a satisfying life by enjoying both work and private life, our company name, JEL is named after an acronym for " Job Enjoy Life ". Centering on the Head Office, JEL has domestic sales and production bases in Tokyo Branch and JEL Kochi. JEL's overseas network covers international markets from Taiwan Branch and overseas agents and partners in Korea, China, Taiwan, and Singapore. Our products and services are distributed quickly and smoothly through JEL's domestic and overseas network. Reliability with customers and vendors is the foundation of management to provide products that satisfy customers. The best customer service results in a workplace where employees are motivated to be innovative. It is our policy that "the best product would be useless unless the customer receives it in time". Through the extensive experience and our own technologies, we strive to develop products that exactly meet customers' needs. More than 20-year manufacturing experience provides customers with the best cost performance products.